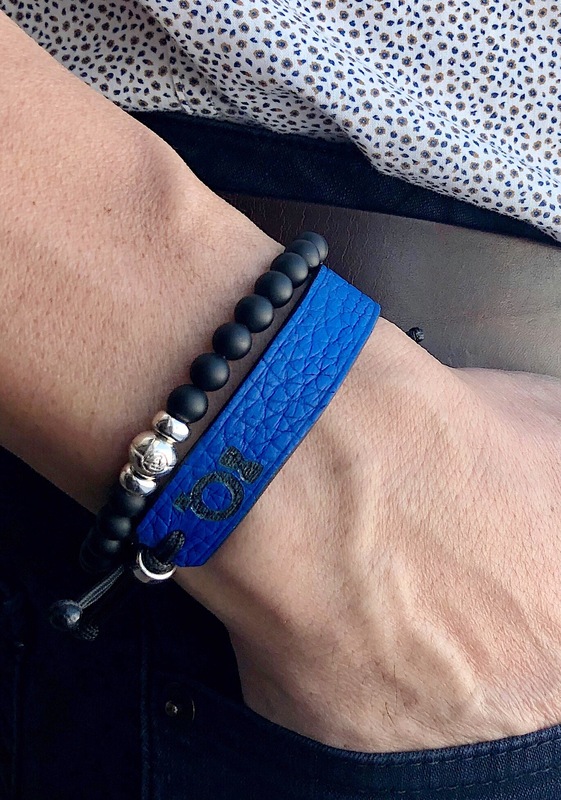 2019 Courage bracelet | Romeo J. | Help fight prostate cancer! 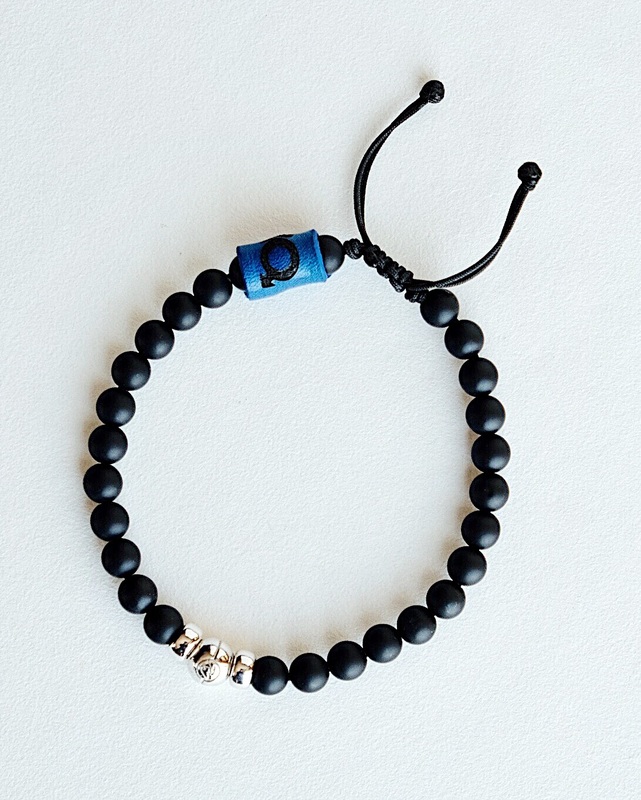 The Courage bracelet is designed exclusively for PROCURE and is limited edition. Romeo J®. is proud to be one of their partners and to be associated with the ‘Tour du Courage’ for the 2nd year. 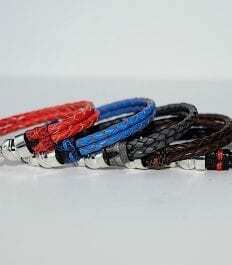 For each Courage bracelet sold, Romeo J®. will donate $15 to PROCURE to help them fight against prostate cancer. 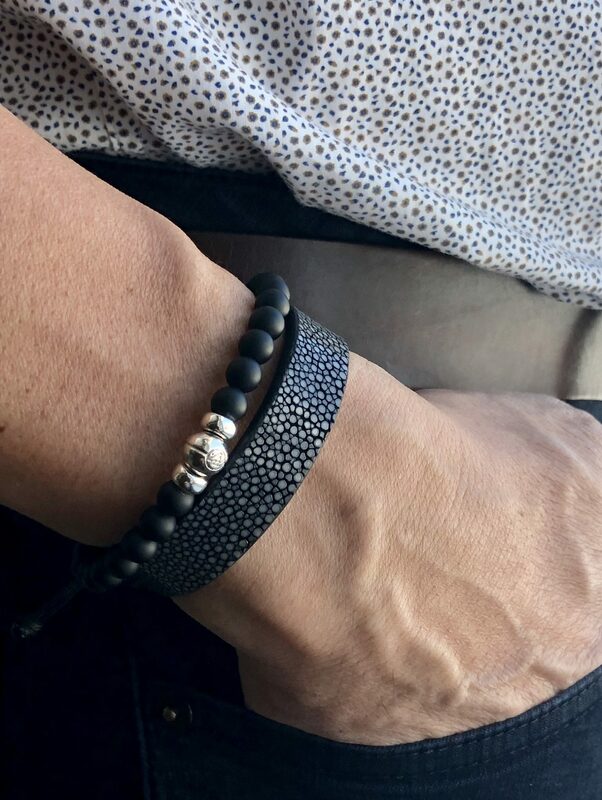 For the 2019 edition of the Courage bracelet, we chose onyx as the main component which is a natural semi-precious stone. Onyx is the stone of strength. This virtue helps to support us during periods of mental or physical stress and to find solutions during difficult times in our life. 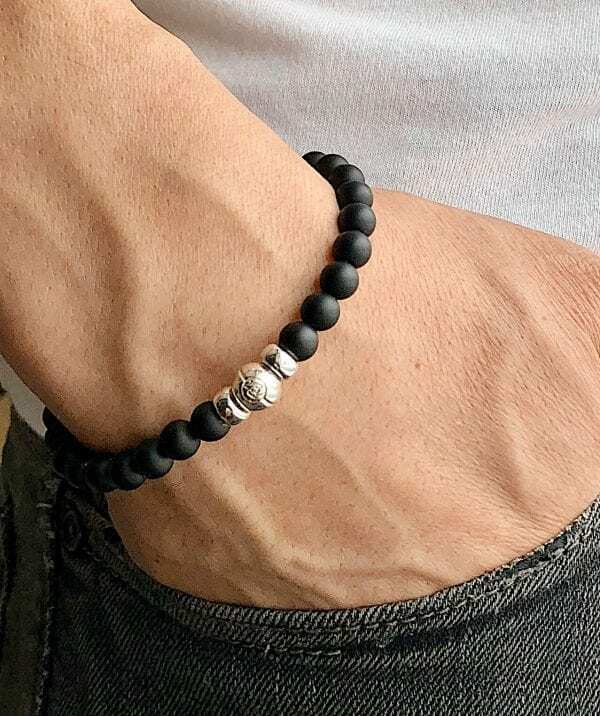 In addition to onyx, the Courage bracelet features 925 sterling silver components (not plated) including a Romeo J. silver bead. The PROCURE logo is showcased and laser engraved on a genuine leather piece using the colors of the organization. 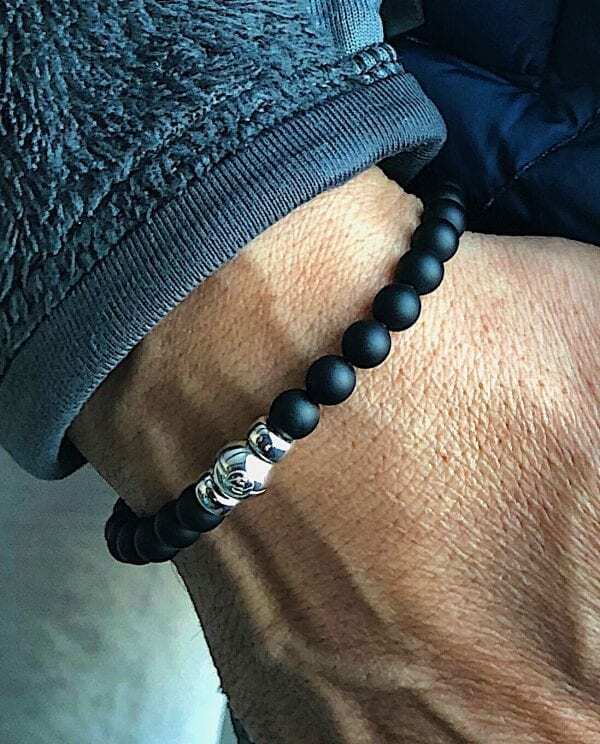 Each bracelet is handmade by our designer Romeo with components produced by Montreal artisans. Adjustable for wrists up to 7.5 inches in diameter.